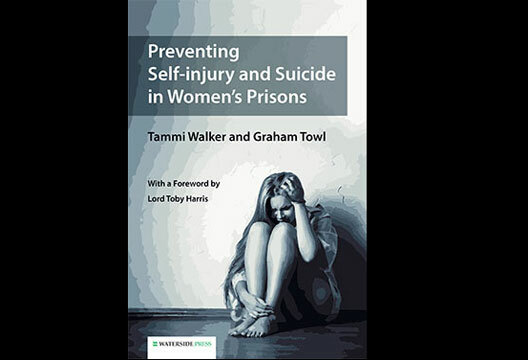 Preventing Self-Injury and Suicide in Women’s Prisons, by Tammi Walker and Graham Towl, reviewed by Anna Motz. It is all too easy for society to overlook the traumatic histories and complex vulnerabilities of women in the criminal justice system, who are so often placed in institutions designed for male prisoners. The highly significant fact of suicides and self-harm by women in custody has too often been overlooked or minimised. In 2015 the 100th woman to kill herself in custody was a landmark that was not reported on, and caused little stir in the public imagination, throwing into sharp relief the sense in which women in custody are disregarded, both in their lives and deaths. In their slim and easily digestible text, forensic psychologists Walker and Towl go far to bring this important public health issue to light. Walker and Towl focus on the prevention of suicide and self injury in imprisoned women and girls, thoroughly describing its causes, manifestations and treatment throughout the book’s seven chapters, helpfully providing chapter summary points and further reading in each. They address its causes, using findings from research to outline the contextual factors that increase its likelihood, and those that are preventative. Most significantly the authors describe evidence-based programmes for preventing suicide and self-harm in this population and offer a powerful argument for the need to use this research to inform staff training within the criminal justice system. Finally the authors discuss the deep impact of a death in custody, describing with compassion the ways that this suicide will affect families and workers within the prison who have tried, and failed, to keep this woman safe. The sensitivity to the role of the prison officers shines through in this text, despite the authors’ challenge to the thinking and practice of a custodial system that has tended to view risky behaviour in punitive and controlling terms. The current NOMS and NHS partnerships aim to bring psychological thinking into the criminal justice system, and this research is a striking example of how psychological understanding can inform custodial practice to increase the welfare of prisoners and reduce risk. The book is fascinating, easy to read and carefully structured, making it accessible to psychological practitioners at every stage of training. It will inform all those who work with vulnerable women with histories of complex trauma and will also have resonance for institutional practice with women outside of the criminal justice system. - Read more from Towl and Walker.